The savior of the universe is coming back to theaters under the guiding hand of Julius Avery. Via The Hollywood Reporter, Avery has entered talks with Fox to write and direct a new Flash Gordon movie for the studio. Avery’s most recent effort is the World War II-era horror film, Overlord, produced by J.J. Abrams’ Bad Robot Productions. Flash Gordon was created by Alex Raymond in a syndicated comic strip in 1934. In Flash’s origin, he was a polo player who got whisked away to the planet Mongo alongside Dale Arden and Hans Zarkov. While there, the heroic trio battled Mongo’s tyrannical ruler, Ming the Merciless. Raymond originally intended to compete with a similar space-faring hero, Buck Rogers. However, Flash Gordon wound up becoming a sci-fi icon in his own right. Flash went on to headline radio and film serials, television programs (both live-action and animated), and comic books. 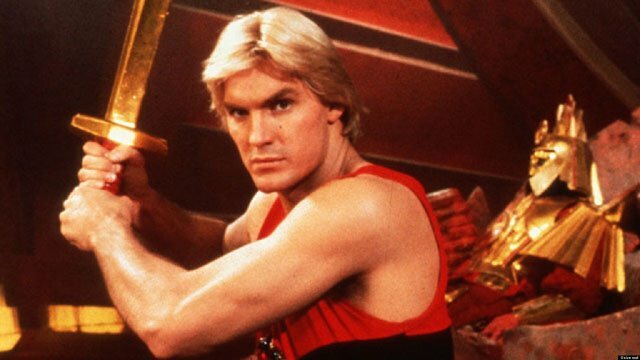 Sam Jones starred as Flash Gordon in the feature film directed by Mike Hodges in 1980. Queen famously performed the songs for the film’s soundtrack. Most recently, the character was brought to life on a 2007 SyFy series starring Eric Johnson. RELATED: Matthew Vaughn in Talks to Direct Flash Gordon! Matthew Vaughn (the Kingsman series) was previously attached to direct the new Flash Gordon film before development ultimately stalled. According to Vaughn, the influx of new cosmic films like Guardians of the Galaxy made it difficult to produce something that stood out from the genre’s recent offerings. In 2016, Mark Protosevich was hired to retool the film’s script. However, Protosevich’s draft is likely going to be discarded since Avery is also scripting the film. Vaughn is staying on board as a producer alongside rights-holders John Davis and Hearst. Flash Gordon is still without a release date. What do you think about Fox’s decision to hire Avery to direct the film? Who would you cast as Flash Gordon? Let us know in the comment section below!